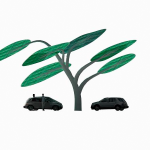 Many of the most unpleasant aspects of urban life are caused by cars. 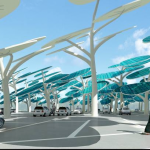 Large sweltering expanses of tarmac in cities contribute heavily to urban temperatures. 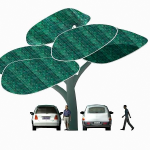 Cars also become unbearably hot in summer sitting in these urban deserts. 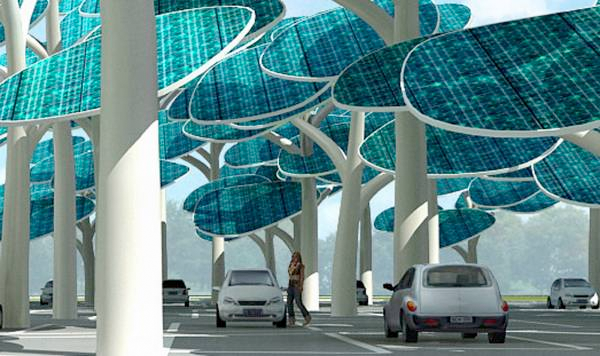 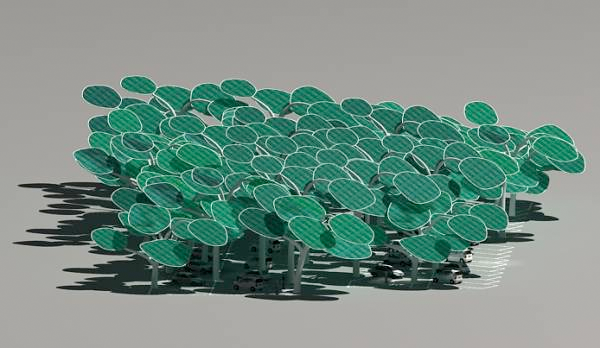 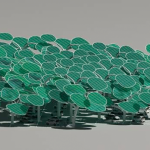 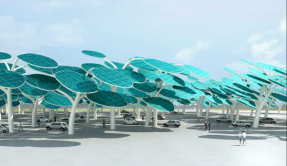 Optimizing the heliostatic photovoltaic panels ultimately evolved into their leaflike shape. 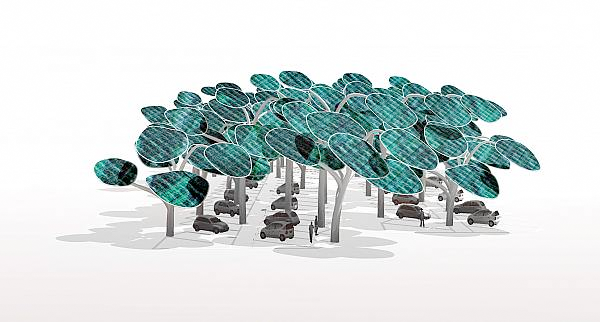 Though the concept did not intentionally look to mimic the form of a tree, the panels rotate to follow the path of the sun throughout the day – much like sunflowers – absorbing light whilst also providing optimal shading for cars. 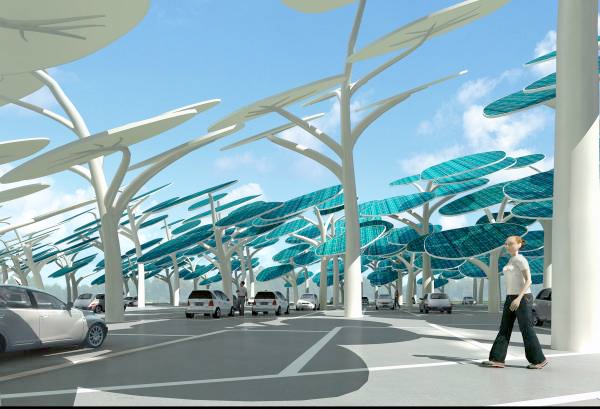 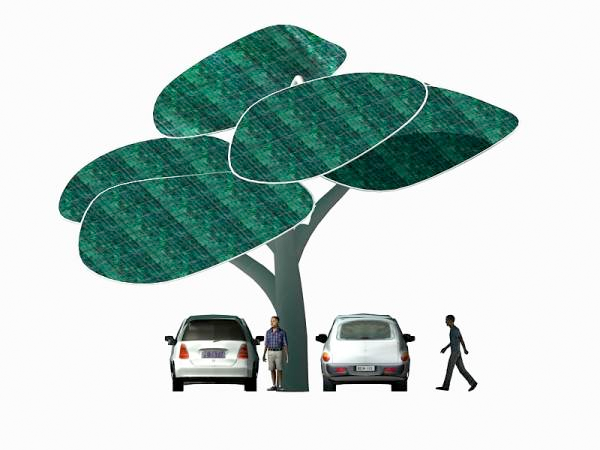 Although all parked cars can benefit from shading, electric vehicles can directly charge their batteries by plugging into the solar trees. 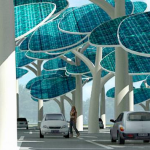 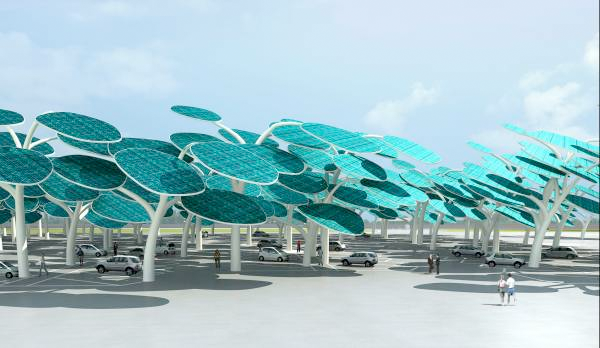 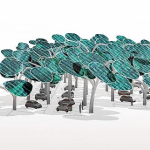 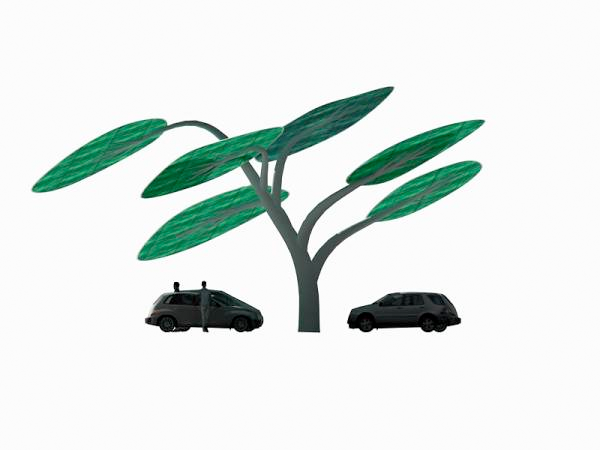 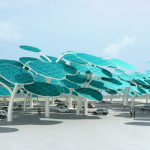 Solar Tree is unique among anti-auto pollution designs in that it empathizes with the automobile, but particularly with the electric car, providing a place for overworked, spent cars to regain their lost torque, to relax beneath the trees, to gain back their juice in an optimal stress-free environment.